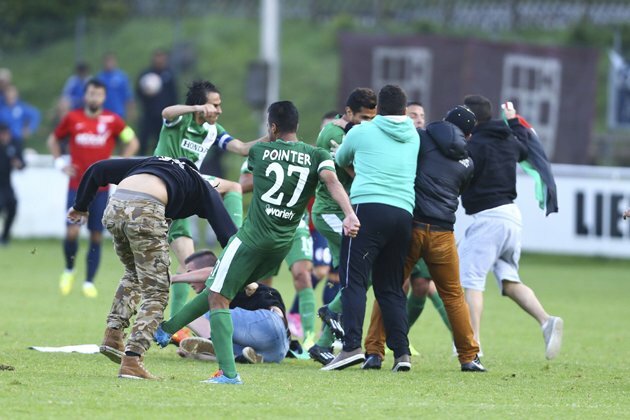 A friendly match between Maccabi Haifa and Lille degenerated into chaos when the players from the Israeli team were attacked by protestors. 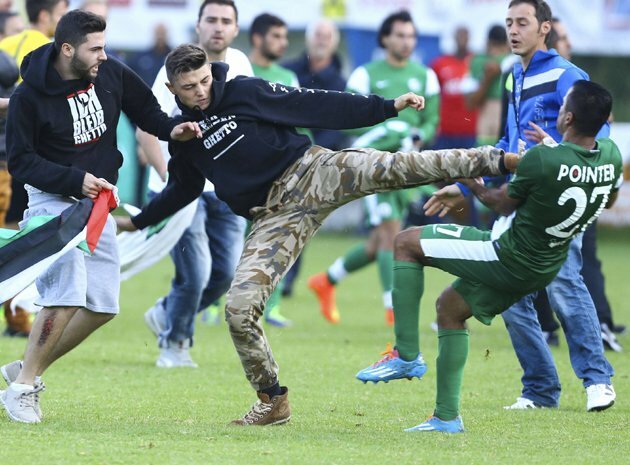 Salzburg police said around 20 people with flags and placards, mostly Austrians of Turkish origin, stormed the pitch shouting slogans about the Gaza conflict, in which more than 700 Palestinians have been killed and thousands displaced. 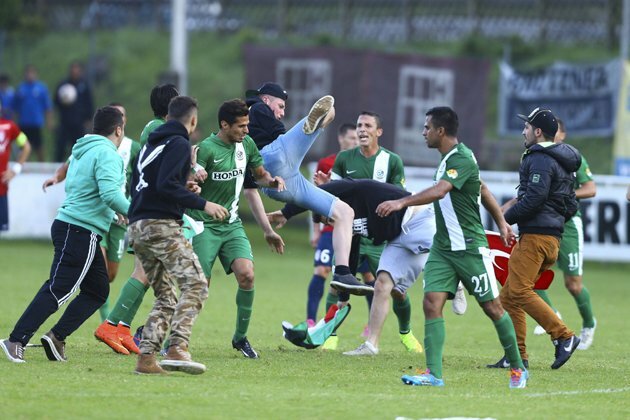 During the match, supporters held up ‚Free Palestine‘ banners and waved the Palestinian flag.